Over a year ago, the U.S. Departments of Agriculture and Health and Human Services removed flossing from the federal 2015-2020 Dietary Guidelines, citing the gap in quality research. 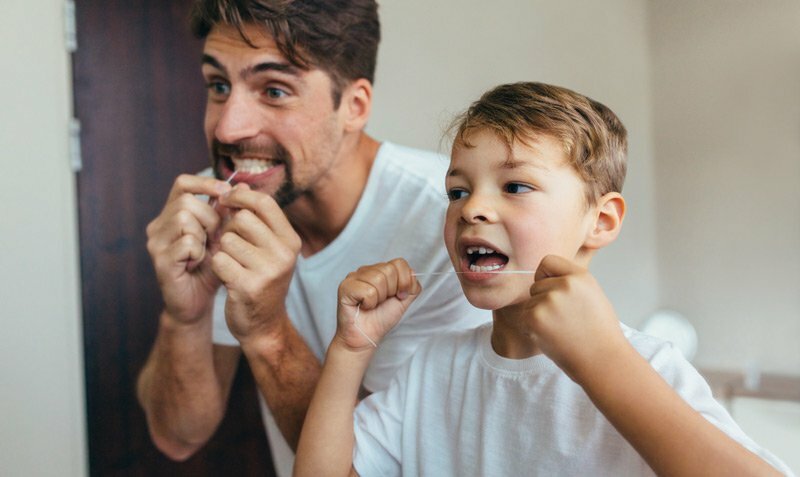 That news was met with a loud response from the dental community, which largely agrees that daily flossing is an integral part of good oral health. The American Academy of Periodontology, representing over 8,000 periodontists (recognized experts in diagnosing, treating, and preventing periodontal disease), continues to recommend daily flossing as part of a complete oral health regime. Along with brushing twice a day and receiving an annual comprehensive periodontal evaluation, flossing is crucial to preventing periodontal disease. According to the Centers for Disease Control and Prevention (CDC), nearly 50 percent of American adults age 30 and older have some form of periodontal disease. Periodontal disease such as gingivitis can be accelerated by a number of different factors. However, it is mainly caused by the bacteria found in dental plaque. If not carefully removed by daily brushing and flossing, plaque hardens into a rough, porous substance known as calculus (or tartar). If left untreated, periodontal disease can worsen, leading to tooth loss and increased risk for other systemic disease, such as diabetes and heart disease. Flossing allows for the removal of plaque bacteria and debris from areas in the mouth that brushing alone cannot reach. So the important question is: ARE YOU FLOSSING?? *Read more about the AAP recommendations regarding flossing at the perio.org website.